Home ›Tour Packages ›Maharashtra (Honeymoon Special) Tour. This morning leave for your last destination, Alibag. The place offers a green and lively atmosphere which will make this a complete holiday. 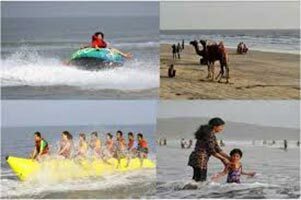 On reaching Alibag, go out for sightseeing at Kihim and Varsoli Beach where you can spend some great time with your partner. 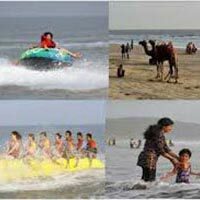 You can enjoy water sports at Nagaon which is a few kms from the place. Stay overnight at the hotel.